Carpet Shampooing is important for keeping your carpets clean. Whether you're in a small Stamford apartment, or living on the 13th floor, dirty carpets are no good. ​ Our state of the art equipment such as the Rotovac 360i which is pictured to the left will give you the best clean guaranteed. Carpet Shampoo 10 years ago was the best thing on earth you could possibly do to extend the life of your carpet. A quality carpet should last 10-12 years, and with regular cleaning it can last even longer than that. Carpet Shampooing is now a forgetten term because carpet cleaning does just that. Our industrial strength carpet cleaning equipment will push the shampoo into each stroke without leaving a damp floor. Get your carpets shampooed today by calling (203) 635-6135. Carpet Shampooing is available across Southern Connecticut. 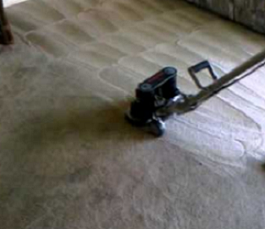 Our Carpet Shampooing services are available throughout the Connecticut area. We have shampooed many different household's carpets. Carpet Cleaning Stamford CT has been growing substantially and is able to service all of the cities & town below.